Great granddau Maria Moore and Rev. David Moore, D.D. HUBERTUS or GILBERT LIVINGSTON, fourth son and sixth child of Robert Livingston and Alida (Schuyler-Van Rensselaer) Livingston, was born March 3, 1690. He was registrar of the Colonial Court of Chancery in 1720, and county clerk of Ulster the same year. 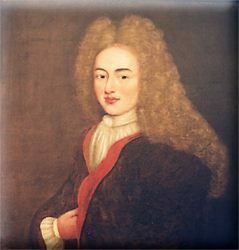 From 1728 to 1738 he was a member of the Assembly for the Manor; major of Dutchess County militia and received the commission of lieutenant-colonel in 1739. Under his father's will he inherited one-seventh part of the Saratoga patent. It was on this land that General Burgoyne surrendered to General Gates in October, 1777. 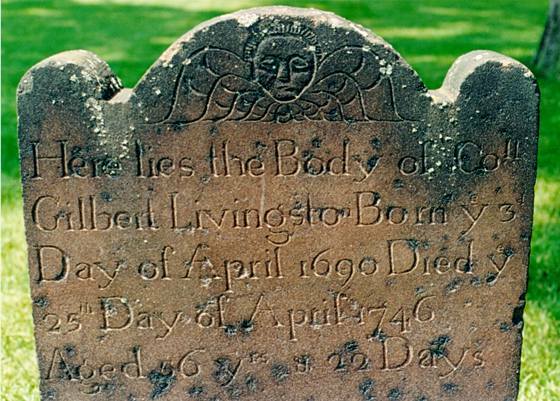 Died, April 25, 1746, at Kingston NY. Married, December 22, 1711, Cornelia Beekman, daughter of Colonel Henry Beekman and Johanna (de Loper-Davidson) Beekman, daughter of Captain Jacob Lugt de Loper, of Stockholm, and widow of Joris Davidson. Cornelia Beekman was born June 18, 1693; baptized August 15, 1693; died June 24, 1742. Page 623.--In the name of God, Amen. I, GILBERT LIVINGSTON, of Kingston, in Ulster County, being sick and weak. Whereas there is to be raised out of the land given by my father-in-law Colonel Henry Beekman, to my beloved spouse Cornelia Livingston, deceased, the sum of £3,000, for my 10 younger children, Henry, Gilbert, Philip, James, Samuel, Cornelius, Alida, wife of Captain Jacob Rutson, Joana, Catharine, and Margaret, The said sum shall be equally divided among them. And whereas there is to be raised the sum of £1,000 for me and my heirs and assigns, I give said £1,000 and all my lands tenements and Hereditaments unto my Children: to my eldest son, Robert Livingston, and my other 10 children. My executors have full power to sell all lands to pay debts. I make my sons Robert and Henry, and my son-in-law, Captain Jacob Rutsen, and my beloved nephew, Robert Livingston, son of my brother, Robert Livingston, executors. December 12, 1745. Witnesses, Thomas Beekman, Jacobus De Lameter, Job Viele. Witnesses appeared before John Crooke. Jacob Rutsen was an officer in the Miltia Regiment of Ulster and Dutchess Counties. He was also Alida's first cousin, since he was the grandson of Henry Beekman and Joanna Lopers. Which means that Henry's aunt was marrying Henry's uncle. The joys of interbreeding. For her next husband, Alida turned to Henry Van Rensselaer, marrying into the same family as had her grandmother, Alida Schuyler, whose first husband had been Nicholas Van Rensselaer. Rev. Van Rensselaer had been sent to the new country to manage the estate for his deceased brother Jeremias's children. Henry Van Rensselaer was the grandson of Jeremias, his father Hendrick having been a younger son who inherited Claverack,a 60,000 acre estate later called the Lower Manor, and 1500 acres at Greenbush. But Henry was a third son of Hendrick, so he didn't seem to have inherited enough to make a lasting impression on history, though he did, obviously, on Alida. Alida's children with Jacob Rutsen included Henry's first cousins Catrina Rutsen, Hendricus Beekman Rutsen, Colonel John Rutsen (who married Phebe Carman) and Cornelia Rutsen (who married General Robert Van Rensselaer (Henry's 3rd cousin, and the brother of Major General Philip Schuyler's wife). James Livingston was born in Kingston, New York, March 29, 1728, the son of Gilbert Livingston and Cornelia Beekman, who was a daughter of Colonel Henry Beekman. James was a grandson of the first Robert Livingston and Alida Schuyler. He married November 11, 1751, Judith Newcomb (born in 1733, at Lebanon, Connecticut, and died August 31, 1808), the daughter of Thomas Newcomb and Judith Woodworth. James Livingston came to Poughkeepsie to live about the time of his marriage in 1751, and in 1753 bought a plot of land and built his home where he lived the rest of his life. 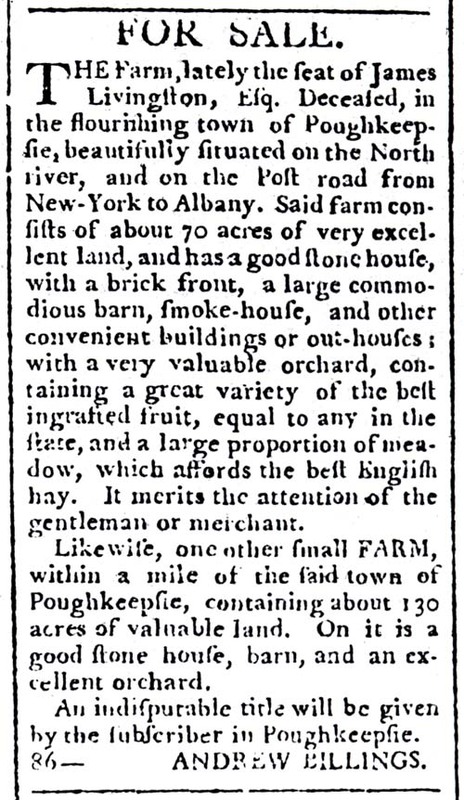 This plot of one hundred and fifteen acres lay between the King's Highway (now the Post Road from New York to Albany) and the Hudson River, and extended from the land owned by his brother, Henry Livingston, who had come to Poughkeepsie several years before, north to the road which is now Pine Street, Poughkeepsie. This tract now contains many streets and homes as well as the grounds of Vassar Brothers Hospital, Eastman Terrace, Eastman Park and the former location for many years of the Riverview Military Academy. During the War of the Revolution a Continental shipyard occupied a part of the shore line, where two large frigates, the Congress and the Montgomery, as well as other naval vessels, were built. In later years the cove where the shipyard was located has been practically filled in and is now the site of the DeLaval Separator Company. A point of land extending into the river is still known as Shipyard Point. The James Livingston residence stood on a knoll not far from the entrance to Eastman Park. James Livingston was a captain in the Provincial Militia from 1760; was sheriff of Dutchess County 1761-1768; was a member of the Provincial Congress, 1776-1777, and served as chairman of the Committee of Safety in 1778. He died in 1790, aged 62 years. His wife died August 31, 1808, aged 75 years and three months. They left three children: Cornelia, born December 16, 1753; Judith, who married John Moore (the license was dated October 16, 1773); and Gilbert James, born October 14, 1758, married Susanna Lewis, and died April 7, 1833. Duchess County Historical Society Yearbook, Vol 28, 1943, pp.67-8. "Exchang'd with James Livingston for a 2 years old Heifer by 2 yearling Black Bull"
Cornelia, the daughter of James Livingston and Judith Newcomb, married twice. Her first husband, whom she married in 1769 (the license was granted February 15), was Dr. Lawrence Van Kleeck, born May 4, 1749, in Poughkeepsie. He was a practicing physician and died about 1775 or 1776, leaving her with four children: Lawrence, born Jan. 11, 1770, and died young; James Livingston, born April 1, 1771; Sally, born in 1772; and baltus Livingston, born in 1774. Last Sunday, se'nnight, by the Rev. Mr. Fryligh, Andrew Billings, Esq. to the amiable Mrs. Van Kleeck, relict of the late Mr. Lawrence Van Kleeck and daughter of James Livingston, Esq., of this place. "Andrew Billings Crdt by 12 sh & 6p for a box bt of him"
"Paid Andrew Billings 12s6 for a snuff & smelling box bt of him last fall"
new pair of the same 0-9-9 "
"Andrew Billings Credt by making and engraving fare to a seal. "Andrew Billings Dr to 11 1/2 lbs old brass"
"Andrew Billings bd by cleaning 2 watches"
NYPL: Andrew Billings appeared before Gilbert Livingston, as recorded by R.H.
After the war, Pierre's son, Gilbert, entered into a business partnership with a fellow Revolutionary veteran and relative, Andrew Billings. The partnership proved to be both brief and unfruitful. Gilbert's death, some time before 1790, apparently left Billings saddled with expenses, leaving him to plead with Pierre and later, Pierre, Jr., to help settle the debt. The Andrew Billings Papers contain six letters written by Andrew Billings, two of which are addressed to Pierre Van Cortlandt, Sr., three to Pierre Van Cortlandt, Jr., and one to Gilbert Van Cortlandt, Pierre's son and Billings' partner in the failed firm, Cortlandt, Billings & Co. 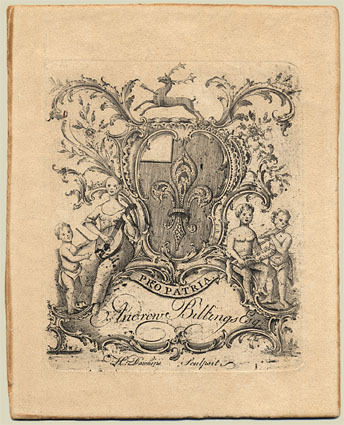 The collection also includes two account sheets and a letter written by Gilbert during the Revolution, probably addressed to Pierre Van Cortlandt, Sr.
Three letters in the Billings Papers are of substantial interest beyond the information they provide on the business transactions of the Van Cortlandt and Billings families. In the first, dated March 6, 1776, Billings discusses his hardships in raising troops in Westchester County. In the later two letters, dated June 15, 1785, and October 16, 1790, he bemoans the poor business climate of the early national period, the scarcity of money, and the new laws concerning the abolition of primogeniture. In the 1785 letter, he also outlines an interesting idea for creating a co-operative among Poughkeepsie-area merchants. Judith Livingston was named for her mother, Judith Newcomb. She married, in 1773, John Moore, Esq., of New York. He was a member of the New York Chamber of Commerce in 1768; a freeman of the city in 1769; Deputy Collector of His Majesty's Customs and Quit Rents; Deputy Naval Officer; Deputy Superintendent of the Port; Assistant Commisary General and Examiner of Stoppages for the Army and all the Staff and Departments; Deputy Secretary of the Province 1765-1783. They had eight children: Elizabeth Channing Moore, who died in infancy; Eliza Elliot Moore who married Alfred Livingston, Esq. ; Townsend Moore who died unmarried; John; Maria Seabury Moore who died in infancy; a second Maria Seabury Moore who married the Rev. David Moore, D.D. ; Lydia Hubbard Moore who married the Rev. William Henry Hart; and Thomas William Channing Moore who died unmarried. Duchess County Historical Society Yearbook, Vol 28, 1943, pp.72. In early December 2001, I was contacted by Terri O'Neill. "I have spent the last two days at your Henry Livingston website, fascinated by your research and your resulting conclusion that Henry Livingston was the author of A Visit From St. Nicholas . I have ordered Don Foster s book and will order yours tomorrow and read them thoroughly before jumping on the HL bandwagon, but from what is on your website, the evidence is pretty convincing. I, too, am a descendant of the New York Moore clan, though not Clement Clarke Moore. Rather, I descend from Col. John Moore of New York, whose grandson, John Moore (1745-1828) married Judith Newcomb Livingston, daughter of Sheriff James Livingston, of Gilbert's line." Between Terri, who knows her Moores, and I, who know my Livingstons, we've had a breakthrough. For those who are wondering how a poem could make its way from the Livingston household in Poughkeepsie to the Clement Moore household in New York City, Terri and I can now add a close Livingston/Moore connection to the mix. Well, actually, Judith Livingston was married to John Moore, the brother of the husband of Clement Moore's aunt, Judith Moore, the sister of Clement Moore's father, but it's likely that Clement Moore thought of Rev. Thomas Moore as his uncle rather than his aunt's husband. Lydia Hubbard Moore (1790-1830), the seventh child of Judith Livingston and John Moore, married in 1815, the Rev. William Henry Hart, assistant minister of Monumental Church, Richmond, Va., and afterwards rector of St. John's Church, Richmond. They had seven children, including Frances Livingston Hart (1816-1895), who married in 1836, the Rev. Clement Moore Butler, D.D., rector of Grace Church, Washington, D.C., Chaplain of the United States Senate, and had three children: Frances Livingston Butler, Helen Moore Butler and Clement Moore Butler. Duchess County Historical Society Yearbook, Vol 28, 1943, pp.72-3. Maria Seabury Moore and Rev. David Moore, D.D. Gilbert James, only son of James Livingston, born October 14, 1758, served as a young man in the army of the Revolution in the Second Regiment, New York Continentals, under Colonel Van Cortlandt. He entered as an ensign, was made second lieutenant November 21, 1776, and became first lieutenant June 28, 1779. He served through the Burgoyne campaign of 1777. 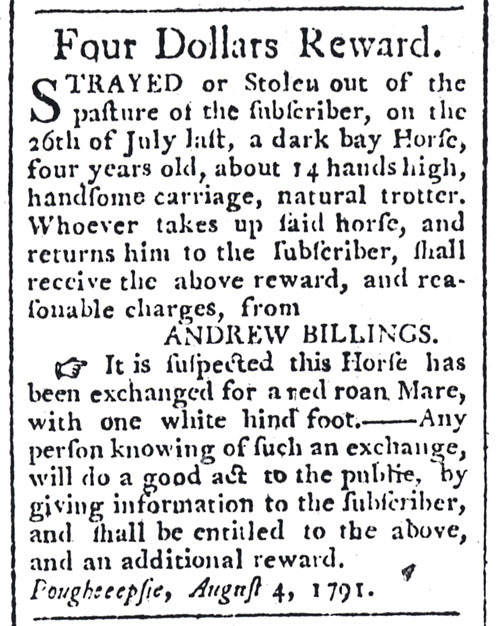 He resigned on account of poor health April 5, 1780. In July of 1780 he became a captain of Levees under Colonel Lewis DuBois and served in this body in the defense of the frontiers against the Tories and Indians under Colonels Pawling and Weissenfels until July of 1782, the end of the war. In 1780 Gilbert married Susanna Lewis, (daughter of Richard and Susanna Van Der Burgh Lewis), who was the widow of Elias DuBois. She was the sister of Colonel James Van Der Burgh of the Dutchess County Militia and by her first marriage, the mother of Colonel Lewis DuBois of the Revolutionary War. A few years after his father's death in 1790, the estate was sold, the southern part to Henry Livingston in 1792 and the northern part, including the residence, to John Reade. 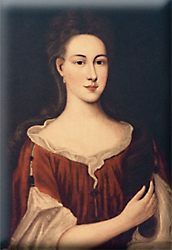 The wife of John Reade was Catharine Livingston, daughter of Robert G. Livingston who was a brother to James and Henry, and therefore a cousin to Gilbert James. Where Gilbert and Susanna with their children went to live after the home was sold is not clear. They had five children baptized in the Reformed Dutch Church of Poughkeepsie. Duchess County Historical Society Yearbook, Vol 28, 1943, pp.75-6. Gilbert James, the son of James and Judith, and Henry's first cousin, was the 5th great grandfather of President George W. Bush, and 4th great grandfather of President George H.W. Bush. Jonathan Thorn, born in 1724, married Catharine Livingston, born in Kingston, July 17, 1734, the daughter of Gilbert Livingston and Cornelia Beekman. They lived on land in Beekman Precinct in Lot No. 17, (now in the Town of LaGrange and at one time owned by Mr. John L. Buck), which had come to Catharine through her mother, the daughter of Henry Beekman, the patentee. Her brothers, Henry, Gilbert and James were already living at Poughkeepsie. Jonathan and Catharine were the parents of at least eight children. 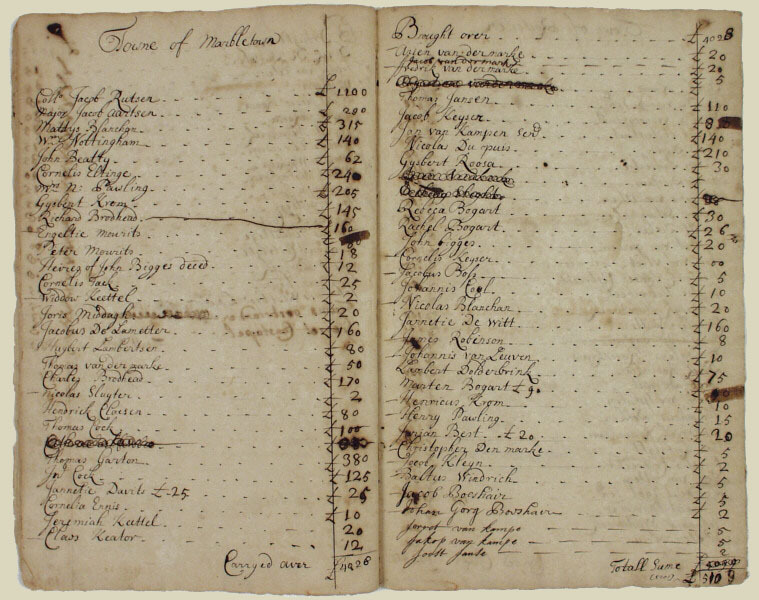 All these children, except Johannes Rutsen, was living at the time Jonathan made his will September 30, 1776. 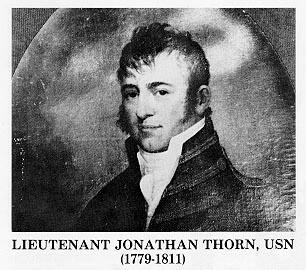 Jonathan, the elder, was apparently possessed of some of the traits of character displayed by his grandson and namesake, Captain Jonathan Thorn, some sixty years earlier. Because he had married a daughter of Gilbert Livingston and Cornelia Beekman, it might have been assumed that he would sympathize with the American cause. Along with other military officers and those holding public office in Dutchess County, on April 1, 1758, as a second lieutenant, and on June 14 of the same year, as first lieutenant, Jonathan signed the oath of allegiance to King George and the Declaration of Belief in the Protest Faith. And, in 1776, he refused to sign the "Articles of Association," or Revolutionary pledge, together with Robert Thorn, Gilbert Thorn and Jesse Thorn, among others. In October of that year Jonathan, Nathaniel, Stephen and Robert Thorn, and a number of other Dutchess COunty men who were listed as "notoriously disaffected and inimical to the measures pursuing for the safety and defense of the United States of America," were sent by the Committee for Detecting Conspiracies to Exeter, New Hampshire, as prisoners. They were held there until February of the following year when they were permitted to return to Dutchess County to visit their families, having given bonds to return to Exeter by the first day of May, unless they should obtain leave to reside at home. On the 20th of March they were granted six days to cosnider of their taking the oath and on the expiration of this interval announced their determination not to do so. The committee resolved on May 15 that they be confined on the prison ships stationed in the Hudson River at Esopus. Dr. Stepehen Thorn was paroled on June 7 and ten days later he subscribed to the oath of allegiance. In the fall, threatened by a British invasion, the Commission for Detecting Conspiracies was charged with the removal of prisoners from Kingston to Connecticut. Jonathan Thorn died at Hartford on November 14, 1777, and was buried there as a prisoner of war in the burying ground of the Center Church. His wife had died November 3, 1769. Duchess County Historical Society Yearbook, Vol 28, 1943, pp.83-84. Margaret Livingston, baptized, June 23, 1738, at Kingston; buried January 10, 1818; married, October 17, 1764, Peter Stuyvesant, great-grandson of Governor Stuyvesant (1602-82), born October 13, 1727; died October 7, 1805. Issue, six children. Bowery house January 8th 1808. The author of this letter was most likely Margaret Stuyvesant, daughter of Petrus and Margaret (Livingston) Stuyvesant. Reynolds, III, 1015. Petrus Stuyvesant built this house at 21 Stuyvesant Street in 1803. It was a wedding gift to his daughter Elizabeth, who married Nicholas Fish, a close friend and political ally of Alexander Hamilton. Son Hamilton Fish became New York State governor, senator, and secretary of state. It is now known as the Stuyvesant-Fish House.